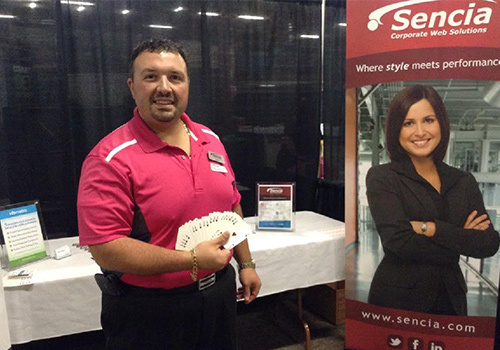 Sencia in Thunder Bay's Community - Sencia Canada Ltd. Always a proud member of the Thunder Bay community, Sencia believes to the core that the importance of giving back to its community is vital in making our city a great place to live and thrive. In fact, our team has been involved with multiple successful fundraising events by giving through charitable donations or in-kind services. 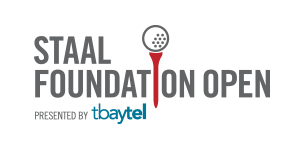 From working with the Thunder Bay Regional Health Science Foundation to the McKenzie PGA Tour (Staal Open) or the Thunder Bay Blues Festival, we're proud to play an integral part by giving back to Northwestern Ontario. 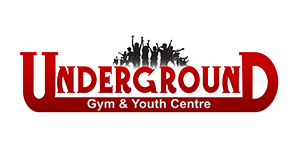 The majority of Sencia's staff call Thunder Bay our home, many of us have even grown up here! 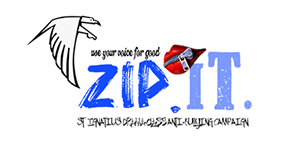 We're very proud to be a local business with the opportunity to work so closely with the community by means of offering local website services as well as sponsoring local ideas. We want all of our clients websites, online services and web development projects to be successful! Being a Thunder Bay based business ourselves, we take special pride in seeing our services used by other local businesses! Spring Up to Clean Up is an initiative by EcoSuperior to clean up litter around Thunder Bay. 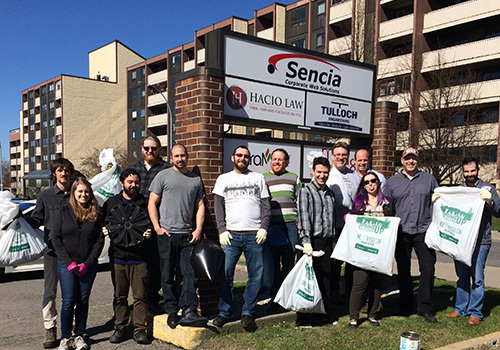 Each spring, Sencia's team gathers outside and spends half an hour cleaning up outside the office. We usually get around 5-10 large bags of garbage off the block – making our neighborhood cleaner and safer. 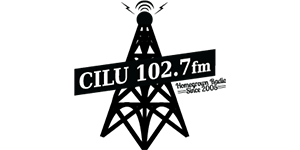 Confederation College's 3rd year Marketing students hosted "FUNN" (Functional Unity Networking Night) in December 2016. The event helped connect students with industry leaders to learn about potential co-op placement and employment opportunities in their field. 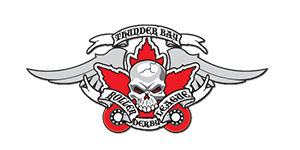 All proceeds for the event went to the college's emergency student food bank and the Boys and Girls Clubs of Thunder Bay. 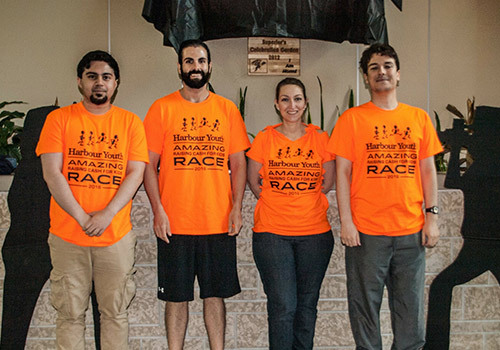 Every year, Harbour Youth Services hosts an “Amazing Raising Cash for Kids Race” in Thunder Bay. Participants are given a special theme of which to name their team after. 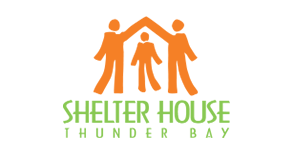 These groups work together to raise money for the kids of Harbour Youth Services while participating in a race consisting of a number of activities around Thunder Bay. Sencia has entered EcoSuperior's Commuter Challenge Thunder Bay every year since it started so we get to see firsthand how much participation increases throughout the city year after year. It's great to see so many people taking part in this initiative. In 2016, Sencia won awards for highest participation in a business of 10-20 employees as well as most CO2 saved among businesses the same size. 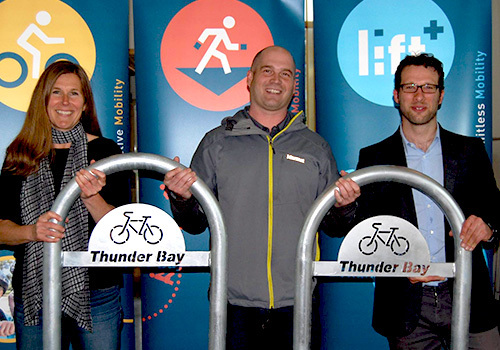 Jay Bruce was at the wrap up party to accept two Thunder Bay bike racks for our office. 2014 was a year for the viral ALS Ice Bucket Challenge, an activity that involved – yes- dumping a bucket of water on your head, was developed to raise awareness of the disease amyotrophic lateral sclerosis. 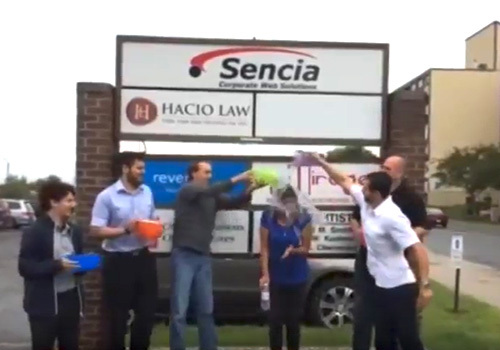 Sencia was nominated and had 24 hours to nominate participants and place a bucket of water over her head or make a charity donation. Founding member Irene Kozlowski had the honors! And did both (the ice bucket and the donation)! 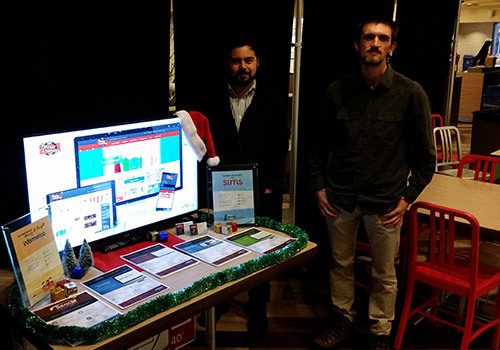 As a member of the Thunder Bay Chamber of Commerce, Sencia Canada Ltd. regularily participates in Chamber events, such as their After Business event held on the 15th of each month. The Thunder Bay Chamber After Business event allows many local businesses to mingle, connect and catch-up on news in a very relaxed, professional atmosphere.